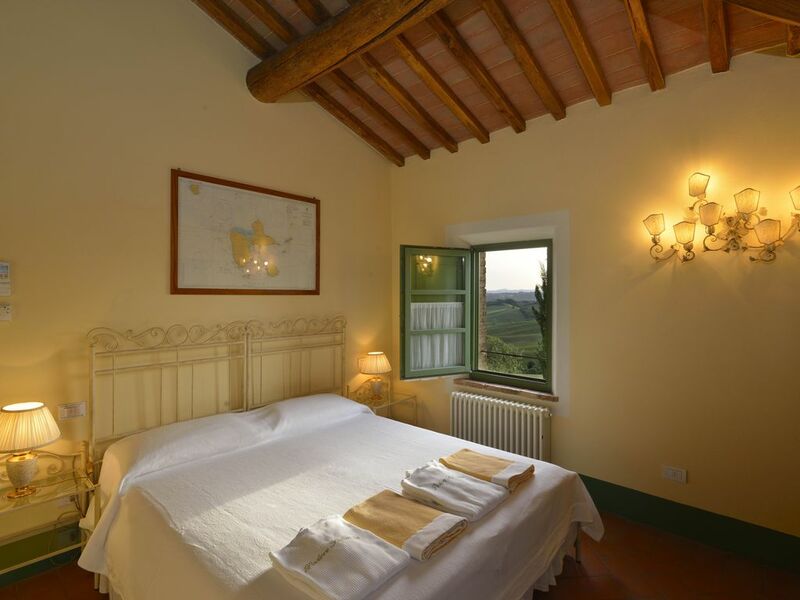 Wonderful view to the west on the Sienese hills and to the north on the barn and the swimming pool. It 'an intimate room that tells us, with the charts of our sailed around the world on the walls, including one of our latest adventures the crossing of the Atlantic Ocean on a sailing boat, pushed by the bearing winds. We have much to tell you on summer days. Ask us and we will be happy to share with you our adventures. Pale yellow, the color combined with the third Chackra, symbol of sunlight but also of knowledge and energy. It favors extroversion and the ability to concentrate. At the reception shared with other guests. At the reception, shared with other guests.